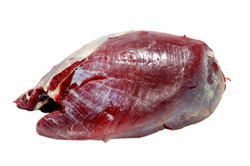 Leading Exporter of buffalo trimming meat and buffalo blade meat from New Delhi. Totally filled with the latest information, we are the most promising manufacturer, exporter and supplier of Buffalo Trimming Meat to our clients. The buffalo trimmings that we provide to our customers are accurately hygienic and have high protein value, rich in taste and flavour. Our offered buffalo trimming is safely stored by using modern technology as per our company norms. Forgetting client’s satisfaction, we offer this trimming at affordable rates from other places. We always have customer’s satisfaction in our mind; we are a renowned name in offering Buffalo Blade Meat. The buffalo meat is derived from the hygienically cleaned buffalo that is free from any kind of diseases processed under hygienic environment. We store this meat at special cold storage system so that we can retain the quality and avoids the meat to expire. 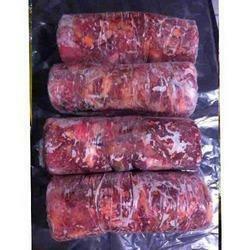 This meat is widely acclaimed in national & international both the markets for its quality & rich in taste.